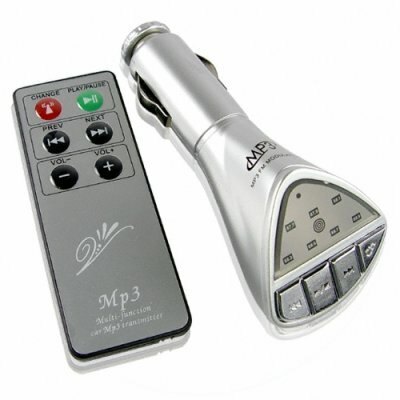 Successfully Added Car MP3 FM Transmitter - LED Indication to your Shopping Cart. FM MP3 modulator for use with any standard cigarette power adapter for listening to your favorite digital music or audio books directly on a car's own high power stereo system. With a maximum of 7 different channels to choose from, as well as both a USB port for direct playing from devices such as a flash disk or PDA, as well 3.5mm audio jack for plug and play music from MP3 players or CD players, this is truly useful and low priced option for quality music playing. Throw in the ability to recharge devices such as mobile phones or PDAs with a USB connection, as well as remote control of the FM transmitter, you have a all around excellent product, available with no MOQ, direct from China to you..